To furnish diverse requirements of our clients in best possible manner we are offering a wide range of recycled denim Poufs. These are available in beautiful designs and are widely used. These also enhance the beauty of the place where applied, thus highly demanded in market. Furthermore, these can be availed at industry leading prices. We are making designs like pocket, belt, back, fronts, stripes, checks. this made by recycled denim fabrics. We can make also square shape in this. We are also making same rug same cushion and same pouf. Its story. 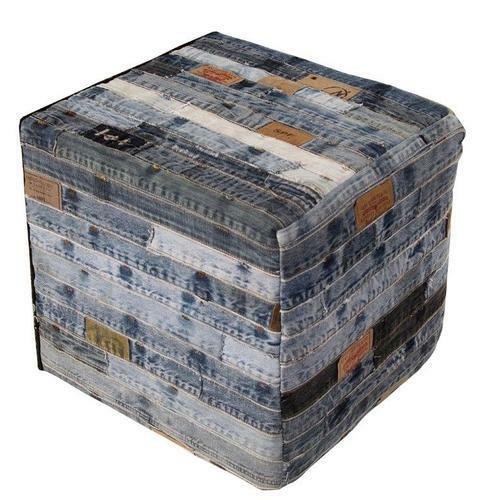 Looking for “Recycled Denim Cotton Pouf”?